Fans of Dr. Seuss can find many different online resources for enjoying his stories. You can find free videos of people reading your favorite Dr. Seuss books, as well as audio books, interactive books, and phone apps available for purchase. If you find a Dr. Seuss book available as a free PDF download online, it's likely an illegal copy. Dr. Seuss books are protected by United States copyright law. The date a work becomes public domain varies depending upon several different factors, but it is most often described as 70 years after the death of the author. Dr. Seuss died in 1991. Dr. Seuss books are available for purchase online in several different formats. You can visit the Dr. Seuss author page on Amazon.com to buy hardcover or board book versions of all your favorite Dr. Seuss books. There are also links to purchase Dr. Seuss DVDs and toys. Free shipping is offered on most items if you have a minimum $25 purchase. Dr. Seuss books can also be purchased directly from the Seussville website. Audio books are great for keeping kids entertained on long car trips. Books can be burned to a CD or added to an mp3 player. Random House Audio has a page where you can download audio book versions of your favorite Dr. Seuss stories. Prices range from $1.99 for a single story to $19.99 for a Dr. Seuss anthology. Free excerpts are available. Prices for apps vary, but there are free "lite" versions available for The Cat in the Hat, Dr. Seuss's ABC, and Green Eggs and Ham. Apps are designed for the iPhone, iPad, or iPod Touch and feature enlarged artwork, professional narration, and high quality audio. Individual words are highlighted as the stories are read. The Tag Reader is an electronic pen by LeapFrog that children can use to "read" their favorite books by touching the correct word on the page. 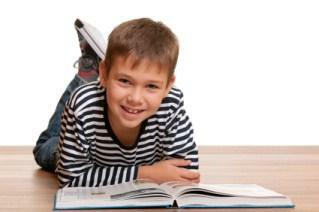 Children can also touch illustrations on selected pages to hear sound effects or play games. There are many different books available on the Tag Reader, including Dr. Seuss classics like Green Eggs and Ham. Even though many Dr. Seuss books were first published in the 1950s and 1960s, these titles remain popular in children's libraries around the world. Whether you choose to listen to books being read online or purchase stories to enjoy at home, sharing Dr. Seuss stories with your children is a wonderful way to encourage a lifelong love of reading.